Ready for some fun? 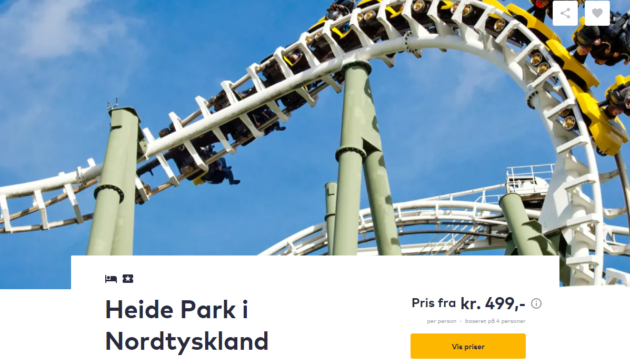 With this deal that I just found on TravelBird you get to spend 2 days in Soltau, Germany with an entrance ticket to the Heide Park and pay from 499 kr only! Included in this price is not only the ticket but also the night at the great 4* Heide Park Abenteuerhotel, the breakfast, access to the spa area and an entertainment programm. Your hotel offers nice rooms with different themes like Pirates and Cowboys. You can park your car for free and get an 10 € voucher for the hotel. Relax at the spa with the pool or get active in the fitness center 🙂 On TripAdvisor, the hotel received great reviews and was given a 4 out of 5 rating from 219 different reviews as well as the certificate of excellence. 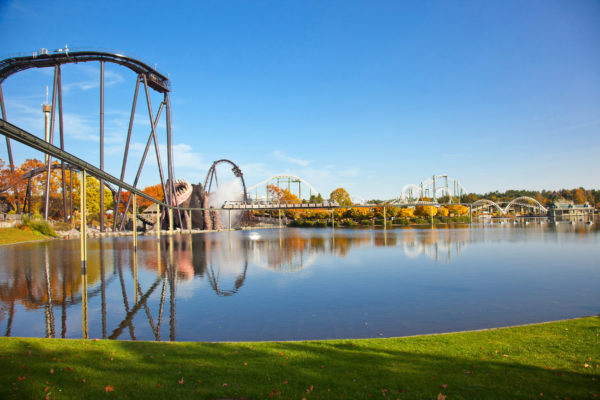 The Heide Park is the largest amusement park in northern Germany with 40 different amusement rides like the amazing Colossos, Desert Race and Scream! For additional cost, you can also use the go-cart track 🙂 While in Soltau, you should also check out the German Tank Museum. There are available dates in October. If you are looking for cheap flights to Germany, check out Skyscanner for the best deals. Let’s go to the Heide Park deal! Sign up for our Newsletter, and don’t miss anymore deals. You’ll be the first to find out about our Soltau bargains!